The Committee proposes two alternatives. The first is Metro offers limited service on Williamson Street (limited to three stops). Several on the committee felt business would actually welcome this arrangement. The second, proposed by Peter Wolff, is to offer a shuttle bus that would traverse a loop outbound on either Williamson or Spaight and return on the other street with a loop around the square. Either way the committee felt, asking residents to walk through a dimly lit industrial corridor puts them at risk for more attacks like the bike path assault last year. 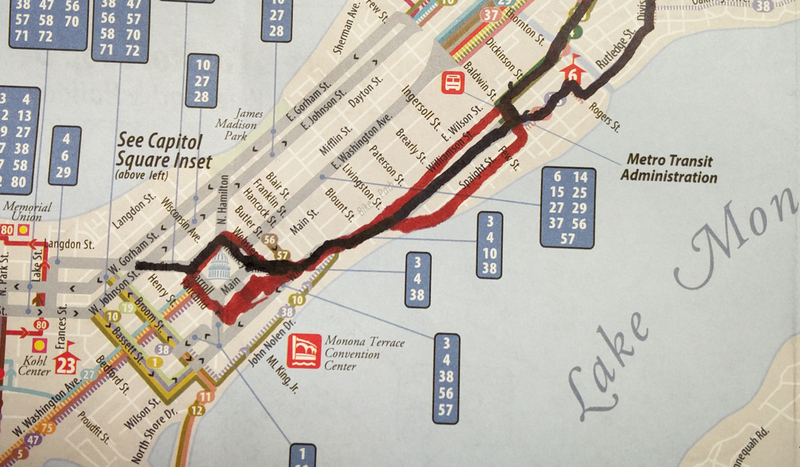 One proposal has Madison Metro operating a continuous shuttle (route shown in red), timed with the other routes. As far as the design of the reconstruction itself, the Committee is supporting a narrowing of the street by two feet which they feel will help in “calming” traffic speeds, especially by commuters that are trying to avoid Williamson. Committee Chair Gary Tipler noted that during the 1977 reconstruction Jenifer was actually widened. By narrowing the street, the Committee says that the extra soil area gained on each side has benefits such as increased soil area for tree health, storm water and snow storage instead of runoff and less construction costs due to less paving area. There was a little bit of discussion about the final street width as some on the Committee felt that the narrower street will decrease safety for cyclists as they will have to ride closer to cars when being passed by traffic. In addition to the narrowing, Traffic is supporting the proposed pedestrian “bump outs” at some intersections reach five feet into the street as opposed to three feet. 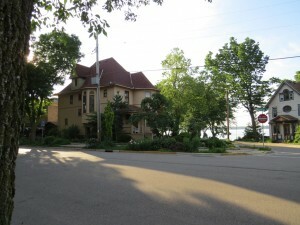 Other traffic calming devices were adopted including a speed hump at Livingston Street to lessen the chance of an accident at this somewhat blind corner for cars turning left onto Jenifer. Traffic is also proposing a “Traffic Table” at Brearly street to enhance safety due to all the pedestrian traffic related to the Wil-Mar Center. Leslie Schroeder’s home is particularly vulnerable to construction vibration. Still somewhat unresolved is how the City of Madison is protecting the historic houses from the vibration from construction equipment during this project. The Committee, after a lengthy discussion, proposes the City take a prevention attitude toward the issue instead of offering to pay for repairs afterwards. Research, presented by resident Leslie Schroeder who owns the pre-Civil War home at 854 Jenifer Street known as the Hyer-Jaquish Hotel (listed on the National Register of Historic Places), shows that construction standards for vibration exist and is measured in Peak Particle Velocity. Schroeder has retained counsel and is paying for independent monitoring of the effects of construction on her home during the project. In a letter to the City, Schroeder’s lawyer asked that the vibration reaching the home not exceed specific PPV limits that are similar to standards in place in both New Hampshire and Florida. 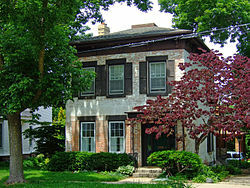 The Committee is requesting similar assurances from the City including: specifying damage controls and vibration limits in bid specifications for contractors, these contractors should have a demonstrated record of working around historic homes as well as be made aware of the soil and geologic formations that lie beneath and perform before and after crack-and-damage surveys for at least the four recognized historic homes in the area and share the results with the building owners. 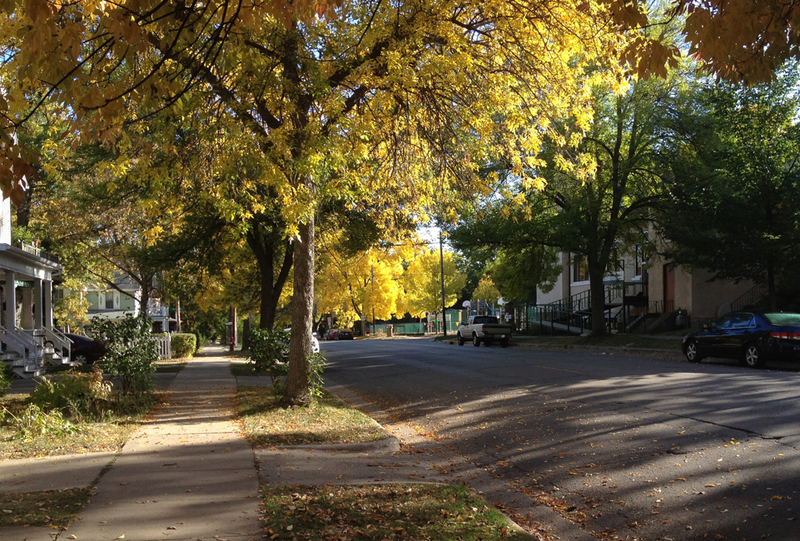 Residents in Madison are pretty proud of their trees. The canopies their branches create are part of the idyllic charm of living here but also provide a crucial function. Large trees beget large root systems which hold soil together and reduce storm water runoff. The canopy shields homes which reduces energy use when controlling temperatures in our homes. A speed hump is proposed at the intersection of Jenifer and Livingston streets. While the Emerald Ash Borer (EAB) is real and some trees must be removed, there is a feeling that the City is mostly just trying to make it easier for construction crews during the upcoming Jenifer Street project when it says it’s removing 16 healthy ash trees below power lines. The Traffic Committee is proposing to fund, through a shared cost between MNA and home owners, EAB chemical inoculation of those trees which originally were supposed to be retained under the City’s forestry plan. In addition to treatment, MNA would seek to develop a plan to partially underground high voltage power lines so that trees would not have to be trimmed and newly planted trees would not have to be limited to species that grow to a height that is shorter than the power lines. Earlier this month Principal Traffic Engineer Christina Bachmann said that the city does not have the budget to underground the wires but is open to other solutions to fund such a project. MNA’s Traffic committee proposes that the City, MNA and Madison Gas & Electric work together on a funding plan with residents to develop such a plan. The MNA Board meets tonight at 7:00 p.m. at the Wil-Mar Center. All are welcome to attend and participate. Does Madison Metro realize that they’re asking an awful lot of people to routinely walk half a mile and cross six lanes of traffic on East Washington to catch a bus with their proposal?